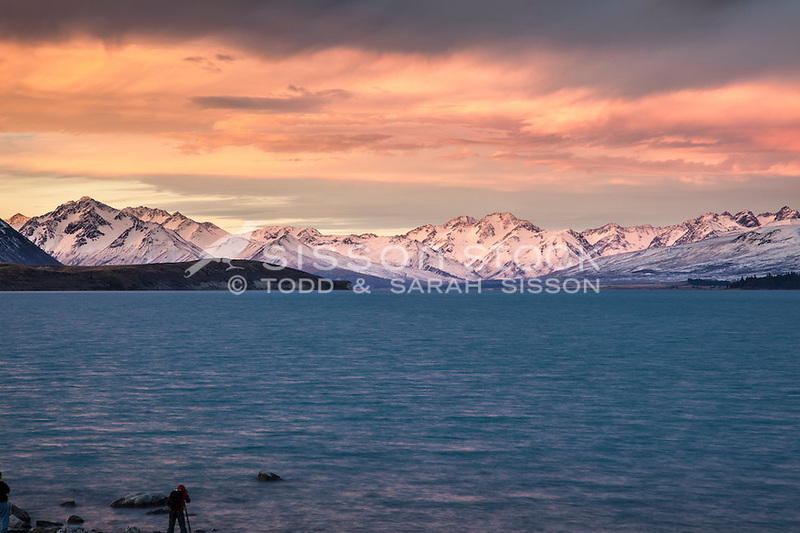 Spectacular sunset colours over Lake Tekapo and the Sib Range. South Canterbury New Zealand. Photographer in shot.